Dispatch originated in the early 1990s as One Fell Swoop, but changed their name to Dispatch in 1996. Chad Urmston, Braddigan, and Pete (Francis) Heimbold, who were all attending Middlebury College in Middlebury, Vermont comprised the band's lineup throughout their entire career. Their music drew upon several influences, such as acoustic folk-rock, reggae, and funk. 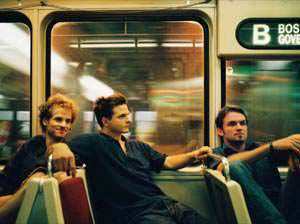 Dispatch gained much recognition outside of New England, without any help from a label, and stuck together long enough to release seven albums, three of which were live performances. .